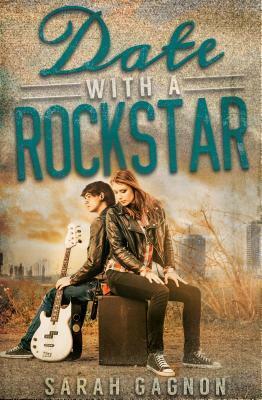 Date with a Rockstar by Sarah Ganon. Read October 2-3. 3 stars. This book was a pretty cute, quick read. It’s lightly dystopian-set in the future where things are worse and different, but not crazy different and there’s no political revolution storyline. Though I don’t really like the show The Bachelor, I like the dating show concept in books so I found this pretty entertaining. I think it could’ve focused a little more on the show aspect, though. The main character was likable and only sometimes annoying. For most of the book I didn’t really care for Jeremy so I was kind of hoping Monet would end up with bodyguard Derek, instead (that really isn’t even implied at all in the book, just my wishful thinking). However, by the end I found him more likable and overall it was just a cute story. 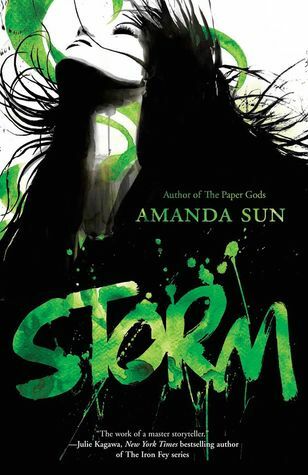 Storm (Paper Gods #3) by Amanda Sun. Read October 8-9. 3 stars. A pretty good ending to the series. I thought it dragged at times and was a little repetitive and the appearance of Katie’s father I thought was a little pointless since it wasn’t more involved. However, I liked the overall arc of Tomo and Katie and liked that we got to see more of Ishikawa. With Carry On coming out this month, I became nostalgic for Fangirl. I enjoy this every time I re-read it. I am a little concerned, though, that after the first time I read this I’ve skipped over all the Simon Snow parts in every re-read. It does not bode well for Carry On, but I’m sure Rainbow Rowell will come though like always. 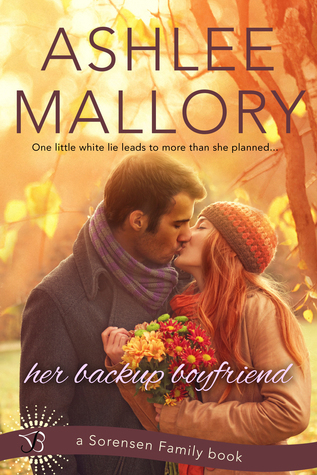 Reading Her Accidental Husband made me really want to go back and read the first book in the series and I enjoyed it! After not being blow away by the past few Julie Klassen novels I wasn’t really sure about this one. However, after just the first chapter I was pretty intrigued. Unfortunately I waited too long to start this once I got it from the library and it expired before I could get very far into it. I’ll definitely give it a go, though, some other time.. 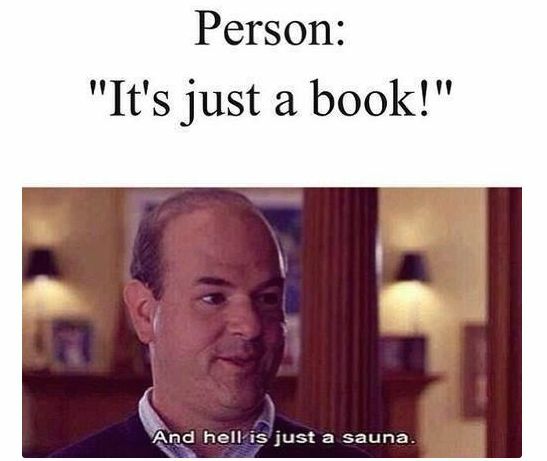 Enjoy the end of the work week with a little book humor. So this has nothing to do with the blog, but my personal life. 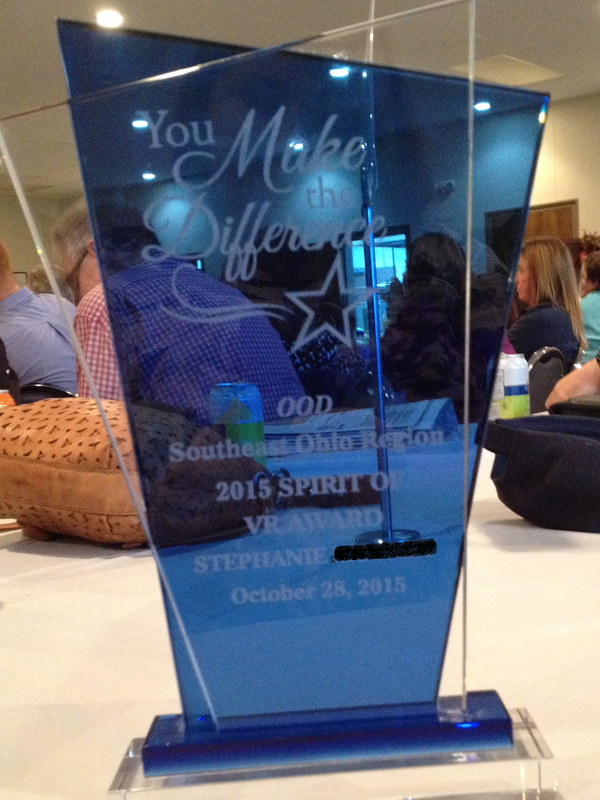 We had our Area Meeting today for work and I won the Spirit of VR Award. Got this nifty trophy, too. THIS REVIEW WILL HAVE SPOILERS. BECAUSE IT’S MY BLOG AND I CAN DO WHAT I WANT TO. I completely love how the first chapter ends, which is also in the synopsis, “Once upon a time, a girl had a father, a prince, a society of friends. Then they betrayed her, and she destroyed them all.” I felt like it was really going to set the tone for this dark story, but unfortunately the rest of the book does not live up to that one line. -While there were several action-packed sequences in the beginning of the book, I was kind of bored. I’m not really sure why, but I just didn’t really care what was happening. I just wanted to get to the meat of the story and I felt it took too long to get there. It took about 200 pages for me to really get into the story. -I thought we were supposed to get lots of new Elites that were going to join Adelina, but we only got two. I was ok with that, though. I liked Sergio, but he’s not very well developed. He’s just always there to save Adelina when he needs to be. Then there is Magiano who I LOVED. Again, I felt like he could have been a little more developed, but I LOVED him. He’s strong and sarcastic and smart, and a little vulnerable. I ship him and Adelina way more than I did Adelina and Enzo in the first book. -Since I loved Magiano so much and he brought out the light in Adelina, I became absolutely convinced that he was going to die. However, HE LIVES!!! And I am so, so glad. I don’t think there’s any hope for them as endgame since Adelina is supposed to become a super villain and she has no time for love, but for now, I will just be happy that he’ll still be around. -I was really looking forward to Enzo coming back from the dead, but the whole storyline just left me disappointed. We find out that it’s not truly Enzo, but some Underworld demon type thing that looks like Enzo and I guess has his memories and stuff? I felt like large portions of it acted like it was the real Enzo, but we are also supposed to believe that it’s Not-Enzo. It was a little confusing. And I just didn’t like the way it played it out. He’s supposed to be linked to Adelina, but he very easily goes against her and goes off with the Daggers. I don’t think we’ll ever see him reach the full potential this character had. -Speaking of the Daggers, I just didn’t care about them in this book. We get a few chapters from Raffaele’s POV which kept them still in the story, but I don’t know…I just looked forward to getting back to Adelina’s POV when we were with him. None of the Daggers are really developed any further and I didn’t even care when Gemma, who I liked in the first book, died. -The addition of Maeve wasn’t as interesting as I thought she’d be. She wasn’t as smart or cunning as I thought she was supposed to be. I also thought the Maeve & Lucent relationship just ticked a box on the “Diversity” checklist. We don’t get much more than a chapter to explore their past and their relationship and their possible future. I think it should’ve been much more developed or just left out. As it is, it does not add really anything to the story other than a limited effort to make the characters more diverse. -Everything I’ve read said this book was going to be DARK and I was looking forward to that. While there were a few moments that I felt fit the bill, for the most part I just still don’t see Adelina as a villain. She comes across more Schizophrenic than Evil. Whenever I feel we were supposed to be getting Dark Alina, I just felt like she was Crazy Alina – and in a really sad way, not the Crazy-and-I-Love-It kind of way. This book is not sunshine and rainbows by any means, but neither did I feel it was the dark book I was promised. -As I said earlier, it took about 200 pages for me to get into it, but once it got there, I had trouble putting it down. There was lots of plot development and action and I was enjoying it. However, I felt the final chapter was just pretty “meh”. While I know the overall story is not yet finished, I think the storylines of this book wrapped up well and the ending of the book just didn’t make me excited to read the next book. I’ll have no problem waiting for the conclusion of the series to come out. 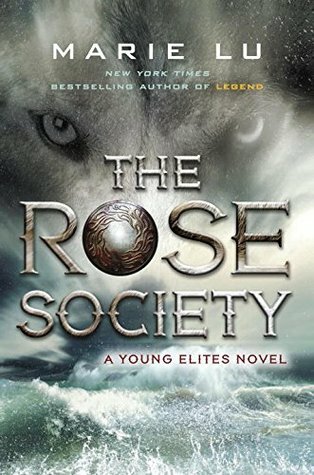 Overall, I think the idea and intent of The Rose Society and the series in general is interesting and unique. However, I just don’t feel like the actual books deliver. While I did enjoy parts of this book – and absolutely loved the addition of Magiano – it was overall just an ok read for me. I do think people who loved the first book, will also enjoy this one, though. I was nominated by the Siblinghood of the World Bloggers Award by A Novel Glimpse. It’s been a long time since I’ve done an Award post and I liked Deanna’s questions, so I decided to just go for it. The rules are generally to answer the 10 questions and then nominate people and ask them 10 questions. But since I’m lazy, I’m going to say if you’re interested, please feel free to consider yourself nominated by me. Feel free to make your own post, answering the questions below, or just leave them in the comments (make sure you reference A Novel Glimpse for coming up with the questions if you decided to make your own post). 1. 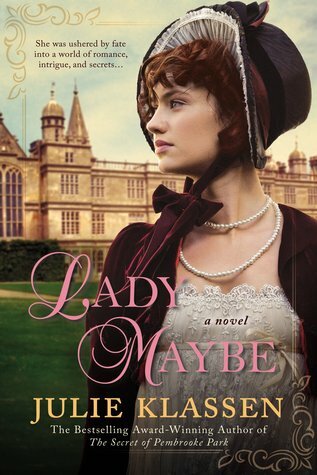 If you could get a sequel to any standalone novel, which one would it be? 2. Gummy bears or gummy worms? Gummy worms I think. But either will do in a pinch. 3. What is the saddest book you ever read? 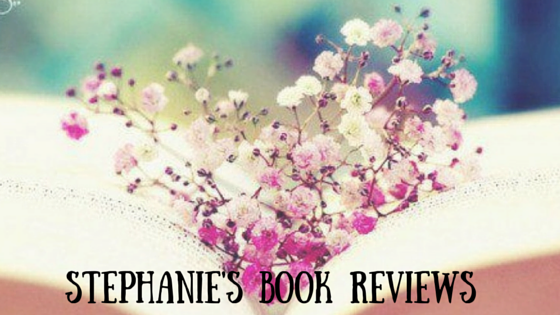 Me Before You by Jojo Moyes probably made me ugly cry the most. Picking a favorite tv show is almost like trying to pick a favorite book. But I’ll go with Orphan Black, Gilmore Girls, Community, Brooklyn 99, The Walking Dead, and Big Bang Theory. 5. What is the most inspiring book you ever read? I don’t know really. I don’t really read much non-fiction. The Bible sounds like a really clichéd answer, but it’s the truth! 6. Song you’re listening to on repeat this week? I tend to just listen to the radio and nothing really sticks out to me. I still haven’t heard the new Adele song, but once I do I’m sure that will probably be it. 7. If you could hang out with one author for the day, who would it be? 8. *NSYNC, Backstreet Boys or New Kids on the Block? I will always have a special place in my heart for New Kids on the Block, but I was always an *NSYNC girl. 9. Do you believe Big Foot really exists? 10. If you could recommend one book to me, what would it be? Attachments by Rainbow Rowell. And because I can’t just pick one, I will also say Big Little Lies by Liane Moriarty, Illusions of Fate by Kiersten White, and Garden Spells by Sarah Addison Allen. Thanks again to A Novel Glimpse for the nomination! Please feel free to nominate yourself if you’d like to participate! This week’s Top Ten Tuesday, hosted by The Broke and the Bookish, is: 10 Wishes I’d Ask The Book Genie To Grant Me (a new book from a certain author, a reading superpower, a character to come to life, to meet a certain author etc. etc.). 1. That my book crush would be real, age appropriate, and amicably split from their significant other and interested in me. 2. *Spoiler from the Hunger Games trilogy* Suzanne Collins would re-write a few parts of Mockingjay and Finnick would never die. 3. 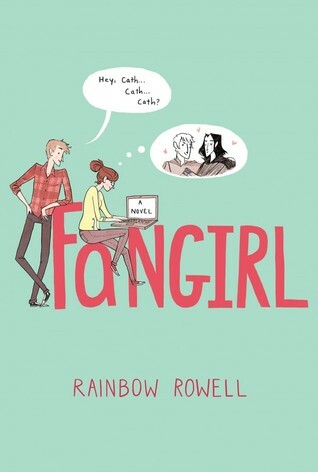 That Rainbow Rowell would let me read all her books before she published them. And that we were best friends. 4. One more book to wrap up The Elemental series by Brigid Kemmerer because Sacrifice was not a satisfactory end to that series! 5. That there would be no wait for ebooks at the library and ALL THE BOOKS EVER would be available. 6. That I would be granted every ARC I request. 7. 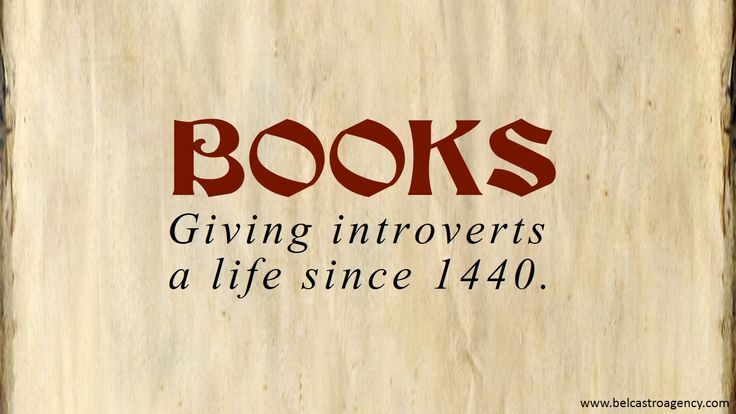 That there were more books by Jane Austen. 8. A more explosive ending to Gone Girl. 9. That I could get all my work done and read at the same time so I could spend my 8+ hours at work every day actually doing something enjoyable. 10. A perfectly adapted movie version of The Night Circus. 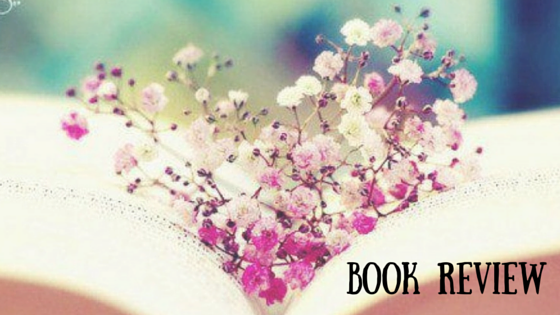 What are your Book Wishes?